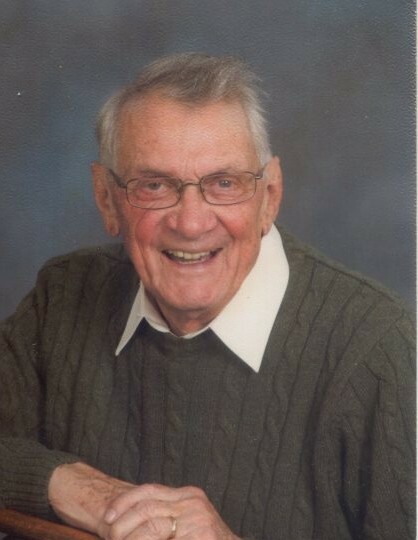 Robert “Bob” Detling, 93, of Hartville, Ohio, passed away January 22, 2019 at GentleBrook. Born February 23, 1925 in Somerton, Ohio, he was the son of the late Ernest Detling and Olive Smith Detling. In addition to his parents, Bob was preceded by his wife of 55 years, Eileen Detling; sister, Betty Phillips; brothers, Richard and Larry Detling; grandson, Bradly Detling; and daughter-in-law, Patty Detling. Forever and always, Bob’s memory will live on by those who survive; daughter, Sherri (Rich) Brumbaugh of Mogadore, Ohio; sons, Tom (Bonnie) Detling of Senecaville, Ohio, Bob (Dana) Detling of Somerton, Ohio, Jack Detling of North Lewisburg, Ohio, and Mike (Katrina) Detling of Hartville, Ohio; grandchildren, Misti, Kassie, Nicole, Jeremie, Greg, Jayme, Denelle, Denise, Lauren, Lindsay, Taylor, and Peyton; numerous great-grandchildren; and special friend, Jack Bair. A recreational pilot, Bob was a member of the United States Air Force Civil Air Patrol Auxiliary, Uniontown Lions Club, Masonic Friendship Lodge #89, and long time member of Uniontown Methodist Church. Bob and his wife enjoyed traveling with Bruce and Dorothy Henderson. A great athlete, he enjoyed basketball and baseball. He loved watching all sports and especially devoting much of his time to watching Lake Blue Streaks Football. Family and friends are welcome for visitation, Sunday, January 27th from 2-5 pm, followed by the service beginning at 5 pm at Hecker-Patron Funeral Home, 13151 Cleveland Ave., NW, Uniontown, Ohio. Pastor John Diller officiating. The Committal Service will take place at the funeral home. A Masonic Service will be held at the funeral home, Sunday at 4:45 pm. Memorial Contributions may be made to: Lake Athletic Booster Club, PO Box 1057, Hartville, Ohio 44632. A very heartfelt thank you to the staff of GentleBrook and Great Lakes Hospice for the care, compassion, kindness, and support given to Bob, as well as being there for his family during their time of need. Special people helping us all through one of life's most difficult transitions.